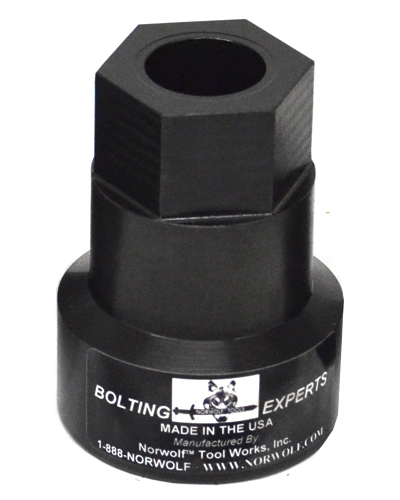 Norwolf Tool Works manufactures custom sockets and drives in an expedited time frame to suit your requirements. Some are shown above for quick reference. • Finest alloy steel construction. • Made with all combinations, male-to-male, male-to female, female-to-female.